Call us at (910) 745-6080 for an Appointment with our Medicaid Dentist Today! Are you embarrassed by the look of your teeth? Do you hide your smile due to cracked or missing teeth? When you have dental problems, every aspect of your life is affected. You may have trouble chewing while you eat, you may experience pain or, worst of all, you may hide your beautiful smile in embarrassment. 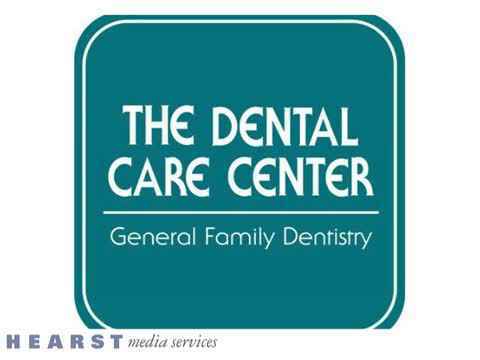 Let The Dental Care Center support your oral hygiene. We are proud to serve patients and families of all ages in Wilson, NC and Fayetteville, NC with excellent care and treatment plans. From regular teeth whitening or cleaning to tooth extraction and affordable dentures, we take care of all aspects of your oral health regardless of what your needs may be. At The Dental Care Center in Fayetteville, NC, we truly care about the look and health of your smile, inside and out. Established in 1974, our practice is dedicated to serving patients of all ages. Our dentists specialize in gentle root canals and teeth cleaning for children. We also offer affordable dentures. We ensure that your teeth remain healthy and look pearly white, too! Our Family Dentist is Here to Help! We help patients of all ages improve their oral health and wellness. Our gentle and experienced dental hygienists specialize in children’s teeth cleanings, keeping them at ease and calm throughout the entire process. Getting your teeth cleaned is an important part of maintaining your oral health and detecting dental issues that arise. Most family dentists recommend having your teeth cleaned every six months. When you come for your scheduled dental appointment, we can help you understand how often you should getting your teeth cleaned depending on your situation. A high standard of excellence enables our family dentists to provide the quality dental care that our patients deserve in the Fayetteville NC area. Thanks to our welcoming approach, your child will look forward to regular visits with us. Going to the dentist is a fun way to get your child interested in brushing regularly. Starting a dental plan early is important for long-term oral hygiene. Bring your children to our family dentist and start them on the road to great dental health. 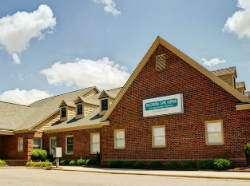 The Dental Care Center in Fayetteville, NC takes a proactive approach to dental care and oral hygiene, helping you avoid major dental work in the future. We know the long lasting benefits of regular teeth cleanings. As your teeth evolve, your mouth requires maintenance and ongoing attention. Perhaps your wisdom teeth have been causing chaos in your mouth, or maybe you have inexplicable pain that only a qualified dentist can alleviate. Our friendly and skilled family dentist will take a look at your teeth and recommend the best ongoing care plan for you! We customize our treatment plans to suit the needs of each patient. We work with many different insurance plans, and are also a Medicaid dentist. Our family dentist works hard to make the repairs or necessary extractions that will alleviate pain and make your teeth healthier. If you require tooth extractions, root canals, bridges, fillings, or even affordable dentures, we can help. Whether you require non-surgical gum treatment or a general dentist to check your teeth, we are here to help you smile again. 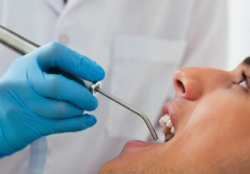 Are you suffering from a painful dental condition? Do you think you might need a root canal? We offer the best dental care for patients in Fayetteville NC and the surrounding areas. We take pride in our team of skilled dentists and staff and the latest technology that we use. We can provide everything from root canal treatments to tooth extractions. Our aim is to improve your oral health. Call us today for root canal treatment. A root canal is necessary when a tooth is badly infected or damaged. If we suspect that you need a root canal, we'll first take X-Rays to be sure. If the tooth's pulp (the soft inner tissue that contains nerves, blood vessels and connective tissue) is damaged or diseased, you will need a root canal procedure to save the tooth. A root canal is no more painful than a filling; most patients are able to get through it with only local anesthesia. We then open the infected tooth, remove the diseased pulp, replace it with gutta-percha material, and sealed off with cement. Root canals are innovative procedures that allow patients to keep teeth that only a few years ago would have needed a tooth extraction. If you think you may need a root canal procedure, trust the Dental Care Center in Fayetteville, NC to get the job done! We are mindful of the needs of our patients, so we strive to provide gentle and caring treatment plans. You’re going to love working alongside our skilled and friendly team. Call Our Medicaid Dentist Today! Our dental team would love to help you show off your radiant smile. Make an appointment to see our professional and caring Medicaid dentist today. Call us at (910) 745-6080 to get the smile you can be proud of. We are located in Wilson, NC and serve the entire Fayetteville, NC area with teeth whitening, routine cleanings, and procedures such as tooth extractions and root canals. Don’t dread the dentist! Trips to The Dental Care Center will have you leaving happy and smiling bright. We are also a Medicaid dentist who will provide the affordable care you need. Call today to schedule an appointment. 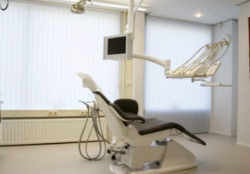 The Dental Care Center offers expert dental procedures to the Fayetteville, NC area. Our family dentist specializes in a variety of services and procedures, including root canals, teeth whitening, and even tooth extraction. We also offer affordable dentures and other deals - as a Medicaid dentist, we want to help patients in all sorts of circumstances. Call us today for an appointment!